It was 1996. I was in a bookstore, likely the Barnes & Noble not far from my house. I spotted a small book with an unexpected title: The Heart Aroused : Poetry and the Preservation of the Soul in Corporate America. The author, David Whyte, was a poet. His book wasn’t about how poetry might apply in the workplace, but how critically important poetry was if corporate America was to flourish and succeed. I had been a CEO’s speechwriter. I had been reading poetry for more than 15 years to become a better speechwriter. I was also caught up in the transformation of the workplace by the electronic communications revolution and a huge influx of new thinking about corporations, their organizational structures, and whether they would function best as machines or networks. It was the first rush of the email avalanche and the advent of the web site. It was also a time of staff functions being turned upside down in the name of rationality and efficiency, while candy was being distributed at meetings and spirit teams went around headquarters singing to people. Senior executives were spinning off businesses and following the instructions of consultants in meetings – by playing with Legos to release their inner child. There were not two sides of the same coin. They were completely different coins, existing simultaneously, representing radically polarized visions of the future. Neither was sustainable. And it is in the soul – that place in the depths of our existence – where storms often rage and chaos is more the norm than the exception. We don’t just bring our skills, talents, experience and physical bodies to the workplace; we also bring our souls, as much as our systems management tries to deny and fight it. 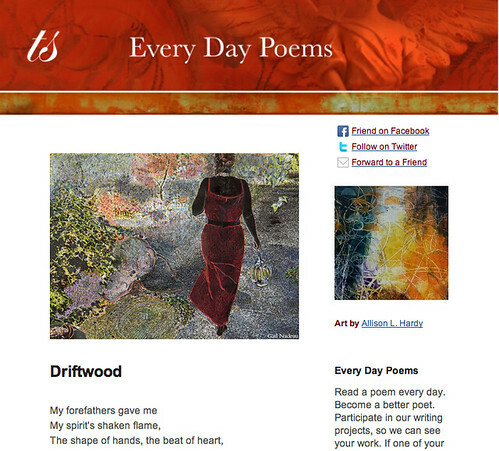 Poetry, and The Heart Aroused, helped me make sense of what was happening. The result was not a “happy medium” and compromise at the middle. Instead, I ended up rejecting both, seeing them for the shams they were, these extremes of institutionalized hippiedom and the killing machine of rationalized efficiency. Instead, I found both understanding of what was happening and, eventually, a path forward for myself. In addition to The Heart Aroused, Whyte has published some seven books of poetry and two additional non-fiction works – Crossing the Unknown Sea: Work as a Pilgrimage of Identity (2001) and The Three Marriages: Reimagining Work, Self and Relationship . And he’s still hard at work helping corporations understand the importance of poetry in the workplace. Photograph by Daniel R. Thompson. Sourced via Flickr. 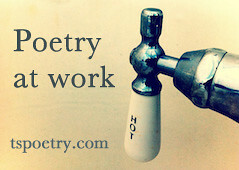 Poetry at Work™ post by Glynn Young, author of Dancing Priest and whose second novel, A Light Shining, publishes Friday. Buy a year of happy work mornings today, just $5.99. In November we’re exploring the theme Surrealism. Thoreau has a brilliant quote on what you call the “killing machine of rationalized efficiency.” He says (and this is a paraphrase) that when we succumb to the corporate machine we lose the tenderest parts of ourselves (what Whyte might call the soul). He says that we lose the ability to contemplate. So what you’re saying here is… I need to play with LEGOs to get in touch with my inner child? Something like that. At least, that’s what the consultant said. Weren’t you already playing with LEGOS?